When it comes to eclipses — particularly total eclipses — there is one song in particular that comes to mind. 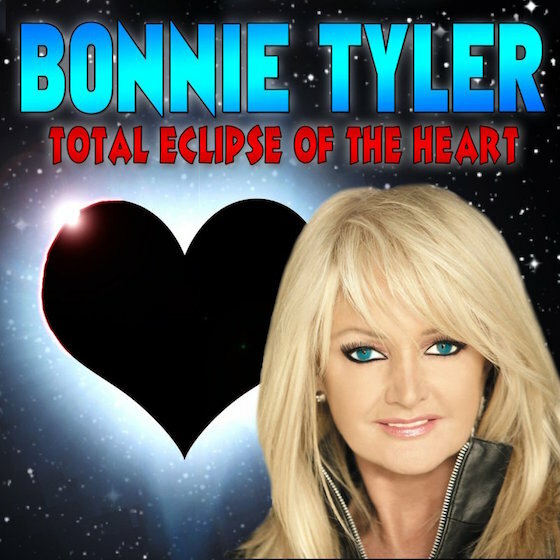 That would be, of course, Bonnie Tyler's 1983 hit and present-day karaoke mainstay "Total Eclipse of the Heart." Next week, on August 21, the earth will be treated to a total solar eclipse. Thankfully, Tyler is getting involved. Tyler will perform her hit on a cruise ship at the exact moment the eclipse takes place. She'll be backed by Joe Jonas and his band DNCE on Royal Caribbean's Total Eclipse Cruise. The ship will be positioned in the eclipse's path of totality. Since this is arguably the most important news you'll read today, the story was broke by TIME magazine, who spoke with Tyler about this momentous performance. "It's going to be so exciting," Tyler said. "It doesn't happen very often, does it?" When asked if she was worried about seasickness, she replied, "I have a ship of my own.... I go with the flow, darling. I'm not worried about things like that." In other words, she won't be asking the captain to "turn around."